GDANSK, Poland. The capital of Poland's "Pomorze" province, the city of Gdansk is located at the mouth of the Vistula River on the Baltic Sea. Much of the city's industry centers around shipbuilding and shipping. The city has two main port areas. The older Nowy Port, or New Port, is a major industrial center for shipyards, metallurgical and chemical plants, timber mills, and food-processing facilities. The newer Port Polnocny, or North Port, is Poland's largest maritime development project. It handles coal exports and petroleum imports. 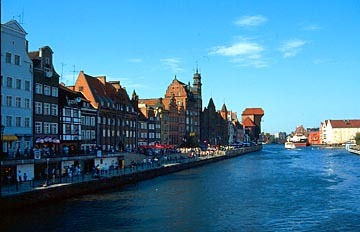 Gdansk has schools of medicine, engineering, and fine arts. The University of Gdansk was opened in 1970. There are also many fine churches, museums, theaters, and gardens as well as a maritime center, a concert hall, and an opera house. 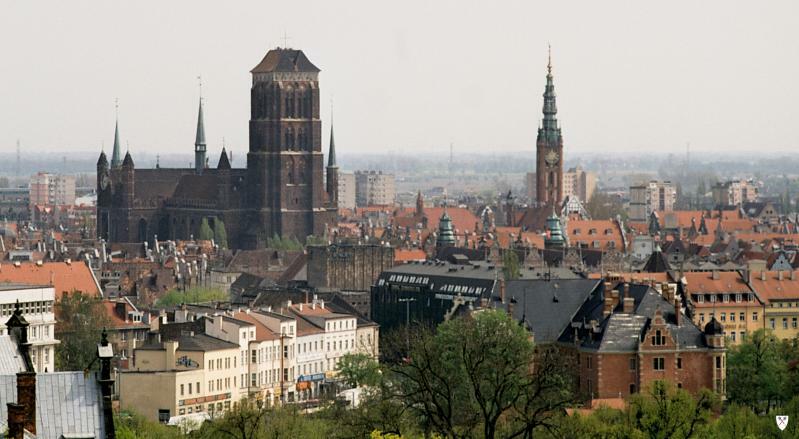 Gdansk is part of the Trojmiasto, or Three-City, urban area, made up of the towns of Gdansk, Gdynia, and Sopot. The city center, known as Stare Miasto, or Old Town, lies on the Motlawa, a river that runs into the Vistula 2 miles (3 kilometers) inland. Noteworthy buildings in Old Town include St. Catherine's Church, sections of which date back to the 14th century. Its interior is in the Gothic style. The town hall was built between 1587 and 1595. The entrance hall has a bronze bas-relief of the 17th-century Gdansk astronomer Hevelius. Greatly damaged during World War II, the city's buildings were later restored. 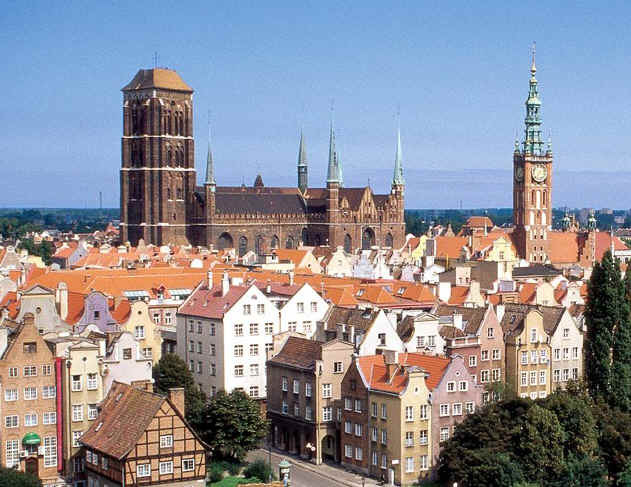 Gdansk was first mentioned as a Polish city in 997 or 999. It has been called by the German name Danzig at various periods of its history. It was granted municipal autonomy in 1260 and developed as a trade center. In 1308 the Teutonic Knights seized the city. Under their rule the city became a wealthy member of the Hanseatic League (see Hanseatic League). In 1466 King Casimir IV of Poland regained the territory after a 13-year war. As thanks for its loyalty, Gdansk was granted local autonomy by the king and expanded greatly. 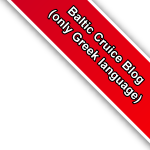 It reached its peak during the Renaissance as the most prosperous port on the Baltic. Its shipyards launched their first warship in 1572. By 1754 its population was 77,000, the largest of any eastern European city. The Swedish wars of the 17th century halted the city's economic growth and began its decline. In 1772 Gdansk was seized by Prussia, and in 1793 it became part of that country. Its port trade quickly decreased. Except for about seven years during the Napoleonic wars, when it was declared a free state, Gdansk remained in German hands until after World War I. From 1919 to 1939 it again had the status of a free city, under the Treaty of Versailles, with Poland having administrative governance over it. German control grew stronger, however, and in 1938 German dictator Adolf Hitler demanded that Gdansk be given to Germany. Poland, backed by Great Britain and France, refused. Hitler used this refusal as an excuse to invade Poland on Sept. 1, 1939, beginning World War II. The city was returned to Poland in March 1945. Labor unrest in the Gdansk shipyards in 1980 spurred the creation of the Solidarity trade union, which soon led the push toward democracy in Poland. Population (1992 estimate), 465,400. Neptune's Fountain in the center of the Long Market was first erected in 1549. Royal Chapel of the polish King - John III Sobieski was built in baroque style between 1678-1681. The city has many fine buildings from the time of the Hanseatic League. Most tourist attractions are located along or near Ulica Długa (Long Street) and Długi Targ (Long Market), a pedestrian thoroughfare surrounded by buildings reconstructed in historical (primarily 17th century) style and flanked at both ends by elaborate city gates. This part of the city is sometimes referred to as the Royal Road as the former path of processions for visiting kings. * St Mary (Bazylika Mariacka), a municipal church built during the 15th century, is the largest brick church in the world. The museum ship SS Soldek is anchored on the Motława River. In the 16th century, Gdańsk hosted Shakespearean theatre on foreign tours, and the Danzig Research Society founded in 1743 was one of the first of its kind. Currently, there is a Fundation Theatrum Gedanensis aimed at rebuilding the Shakespeare theatre at its historical site. It is expected that Gdańsk will have a permanent English-language theatre, as at present it is only an annual event. Gdansk (and general in Poland) is the least expensive port of all ports in Baltic you'll visit. So, we advise you to do more shopping in this port.